Here is another excerpt from Practical Pointers for Shorthand Students continued from the last reading steno notes blog post. I also slightly modified it to apply to machine shorthand. Hopefully these installments will help us all reach our speed goals faster by getting better at reading our notes! The English translation appears at the bottom. 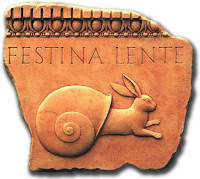 The old Latin proverb, "Festina Lente" -- make haste slowly -- should be taken seriously to heart by the shorthand student. Don't be overanxious or in too great a hurry, but "make haste slowly." The blues alluded to previously are generally caused by the fact that as soon as the average stenographic student touches fingers to machine in the study of shorthand, he makes a mistake. He usually gets the fallacious idea that from the beginning his sole purpose should be to write rapidly. Forget that there is such a thing as speed in shorthand, and typewriting until you can write and read fluently. When you can do this, speed will come almost without effort. The better you can read your notes, the better and the more rapidly you will write in future. It will take you fully three times as long to learn to read your shorthand notes with facility as it does to learn to write them. Then think -- of what use of your shorthand notes if you can not read them! 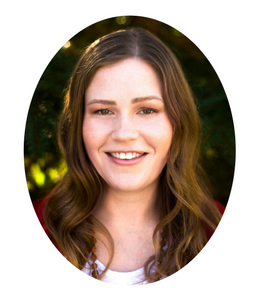 Write accurately first, last, and all the time, and speed will surely follow. Bear this in mind now and always -- "make haste slowly." Great advice! I'm working on my accuracy too, even though the emphasis in my class is on speed, speed, speed. I know I'm going to be the slow poke of the class, but I don't care. If you don't have accuracy, you don't have a marketable skill! Thanks! Your last post inspired me to do the raw notes from this particular excerpt, and it's so true! Keep up the good work. One of my twitter friends shared a link with me on passive learning/listening. http://www.wired.com/wiredscience/2010/09/how-much-should-we-practice/ Check it out!